The ability to “fail forward” is an essential trait for entrepreneurs. After Alexander Polyansky’s first business venture folded, he moved forward by gaining specific subject-matter skills on the job and by learning at Berkeley-Haas the pragmatic and strategic basics of how to run a business. 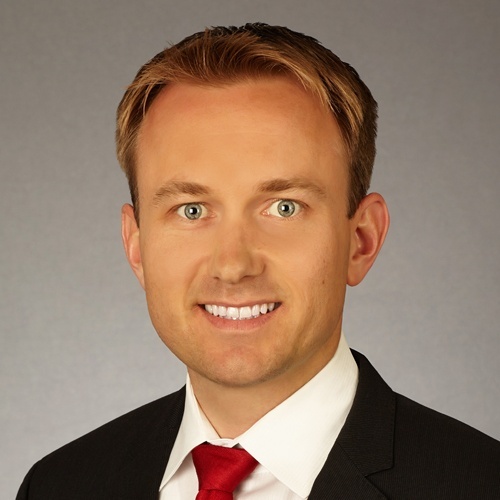 Following his undergraduate studies, Alex had first put his engineering background to work studying innovation and examining others’ inventions as a patent examiner at the US Patent & Trademark Office. 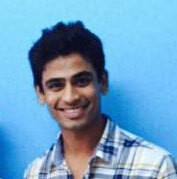 In 2013, he enrolled in the Evening & Weekend Berkeley MBA Program. Six months into his studies, a classmate introduced him to a patent attorney at UC Berkeley’s Skydeck accelerator. “Four hours later, we had the idea that became Nventi,” says Alex, the startup's co-founder and COO. Nventi converts patent data (“a very rich source,” says Alex) into meaningful visualizations and analytics to help engineers and entrepreneurs navigate the technical design process. Among this MBA entrepreneur's standout influencers: Dean Lyons for his commitment to the Haas commnity; Industrial Engineering Professor Lee Fleming for his research and contribution to Nventi’s proof-of-concept; Innovation and Design Lecturer Clark Kellogg for his approach to problem solving, creativity, and collaboration; Assistant Professor Yaniv Konchitchki for insights into how to set up and position finances; and Entrepreneurship Lecturer David Charron for his introduction to the business models and strategies used by successful entrepreneurs. Over the past year, Nventi has made tremendous progress and will soon deploy a functional web application at UC Berkeley and the UC system. Alex attributes much of this success to the outstanding team that he and his co-founder Saad Enam have built, his professors, the Haas Alumni Network, and the Skydeck startup accelerator. “The entrepreneurial environment at Berkeley is as good as it gets,” says Alex. 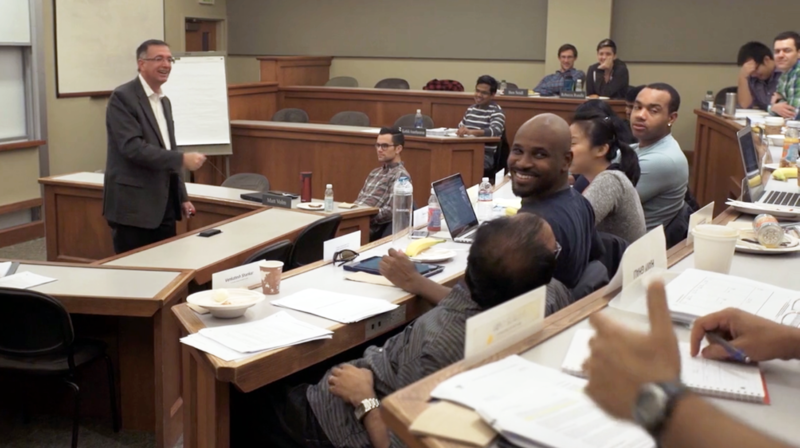 Learn more about the resources available through the Berkeley-Haas Entrepreneurship Program to MBA students launching ventures. Evening and weekend MBA student Shuai Jiang has come up with a better way to receive, track, return, and manage online packages. 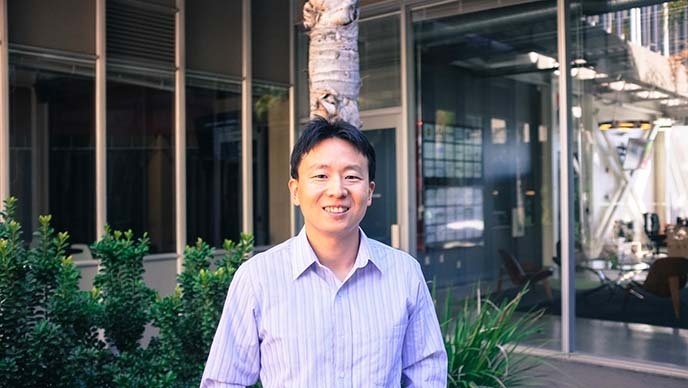 With a small team of fellow students and additional support from his part-time MBA cohort and the MBA curriculum, Jiang founded Enchantin Inc. and created the uCella Smart Mailbox, which secures packages when they are delivered or returned and can be managed through a mobile app. The startup already has $1 million in investments and several hundred pre-orders through its Indiegogo campaign. 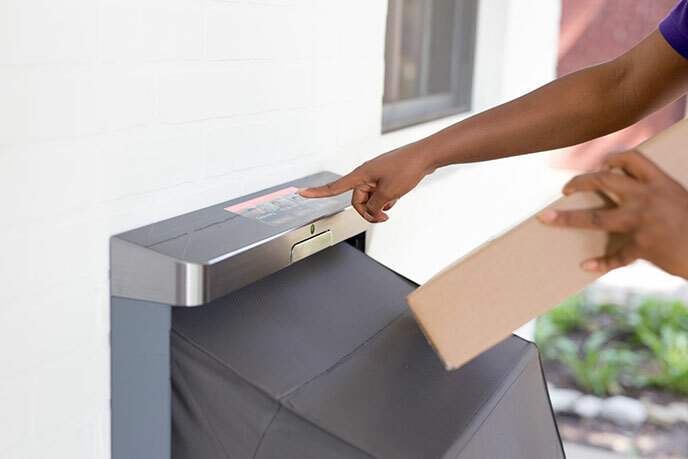 The company has also begun discussions with major couriers and e-retailers, not only in the U.S., but also in Canada, Korea, and Turkey, to form potential partnerships. Jiang hopes that this product will become the norm for e-commerce in the future. When Alicea Wu first approached Berkeley-Haas, she was particularly attracted to one key Haas Defining Principle: Students Always. After working as a physician for six years, in both primary and urgent care, she felt ready to learn more about the business side of medicine, and was thrilled to join the Evening & Weekend Berkeley MBA Program. But after her mother was diagnosed with cancer and passed away three months later, Alicea was also ready for a career change—away from the 24/7 demands of patient care to a job with more flexibility for family needs. 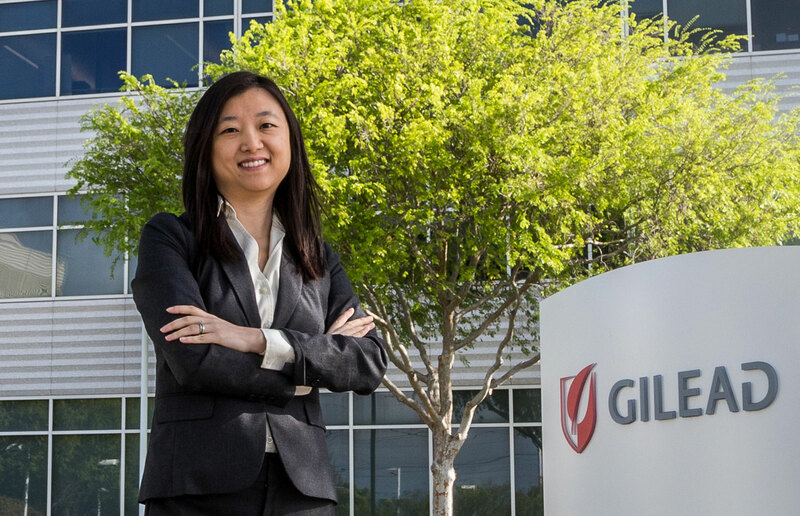 She found what she was looking for at biopharmaceutical firm Gilead Sciences where she now works as the Associate Director of Drug Safety & Public Health. Gilead first came to her attention through a company trek set up by the Haas Healthcare Association. After expanding her career horizons and landing her new job, Alicea continues to apply at her new position what she’s learning in the part-time MBA program. "Changing Industries is Certainly Possible"
Nachiket (5th from l.) with his International Business Development Team with the Ghana staff of Reach for Change. Evening & Weekend MBA Program are no exception. Each spring and summer teams of EWMBA students take advantage of the school’s well-regarded international programs, offering intimate knowledge of different business cultures and the chance to apply key skills in diverse global environments. Some 60 students participate in the Seminars in International Business (SIB) course, according to Kristiana Raube, Executive Director of the International Business Development program. After eight hours of classroom sessions, groups of 20 students travel for a week to destinations such as Brazil, South Africa, and Japan. At each location, the students visit two to three organizations per day to fully immerse themselves in the business practices of the country. Throughout their visit—led by Haas lecturer Rajiv Ball, a partner at the Amsterdam-based THNK School of Creative Leadership—Lea and her classmates applied concepts from previous coursework, including collaboration and innovation skills taught in the core class Problem Finding, Problem Solving. For example, they worked with Jumbo, a large Amsterdam-based supermarket chain, to generate ideas to help motivate temporary teenage employees. Their solutions ranged from helping workers identify and describe their job skills—such as customer-facing communication—on college applications, to creating incentives like “food scholarships” that provide free food for the hardest-working employees. Other challenges the students addressed included helping the bicycle-heavy city of Amsterdam reduce the number of discarded bikes in rivers and developing strategic initiatives to maintain and grow traffic through the Port of Amsterdam. Other global management opportunities include the International Business Development (IBD) Program . This summer approximately 40 students from the part-time MBA program at Berkeley-Haas will join the IBD program, which has sent over 1,200 students to more than 80 countries during the last 20+ years, according to Professor Raube. 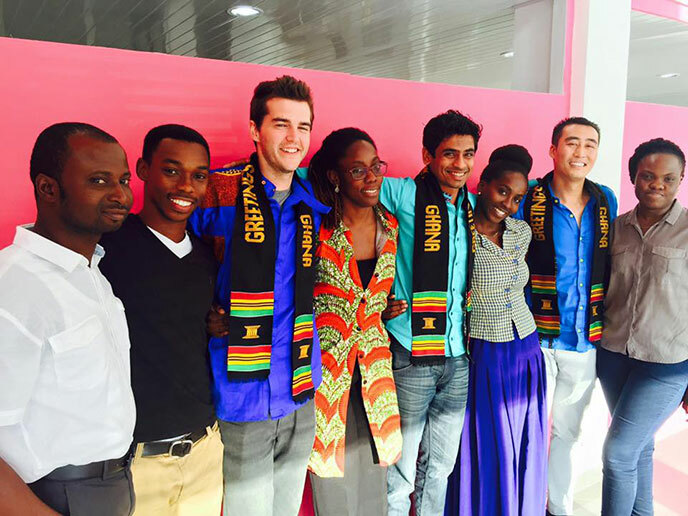 Grouping into eight teams of five students—a new format that includes four team members and a team lead—the participants first spend a month remotely consulting with their assigned client, followed by two weeks in-country to gain valuable international management consulting experience. Last spring, Nachiket Torwekar joined an IBD team working in Africa to help the Swedish-based social impact incubator Reach for Change in its mission to improve the lives of children. After developing a financial planning toolkit for the incubator’s social entrepreneurs, the team traveled to the organization’s African headquarters in Accra, Ghana. There they fanned out everywhere from rural villages to local markets to modern offices to visit the entrepreneurs and obtain feedback on the toolkit. At the same time, they also interviewed Reach for Change’s partners, as well as other Accra-based incubators to help facilitate greater networking and sharing of resources. Nachiket drew on many skills learned during his Berkeley-Haas studies to complete the project, including concepts from the Entrepreneurship and New Venture Finance courses. Leadership Communications was another core course that provided valuable background. From global destinations to career transformations, find out where the Evening & Weekend Berkeley MBA Program could take you. 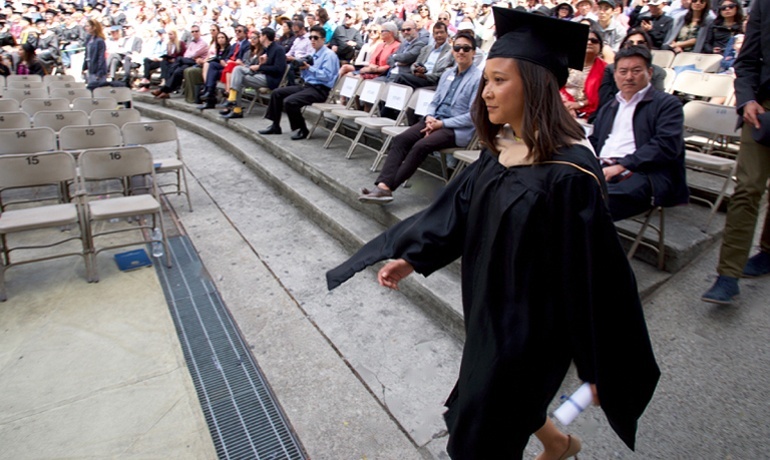 FROM The Berkeley EWMBA Blog: Tackling the GMAT? Treat Yourself! 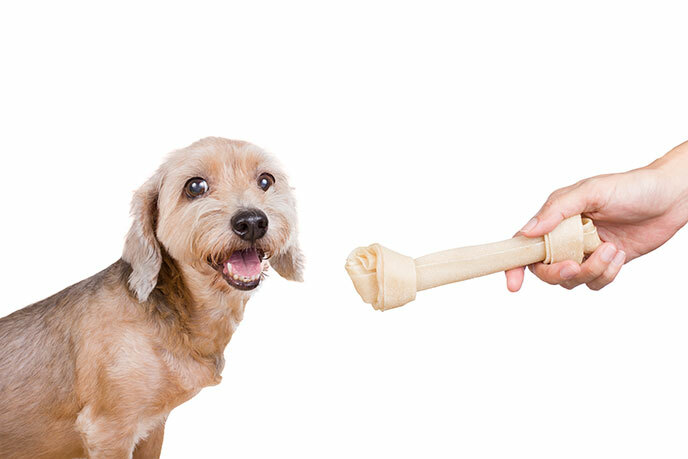 If you've ever trained a dog, taught a child, or persuaded yourself to exercise after a long day, you've probably used some sort of reward-based practice. Studies show that we–along with animals–are highly motivated by positive reinforcement; if we're incentivized by a positive stimulus, we're more likely to put in the time and energy to get what we want. Reward-based strategy is also applied in more subliminal forms than, say, obedience training—it permeates technology use, crowdfunding, consumer behavior, and even test taking. In fact, pastresearch indicates that students perform better on exams when there's a reward involved. b) Perhaps do even better on the exam by making your studying experience a more positive one. Plus, if you need a little more GMAT motivation and guidance, download our free Ebook for expert tips on exam planning and more. Here are just a few suggestions from Berkeley-Haas on how to treat yourself after you take the GMAT. Take a day trip. Chances are that you're going to be pretty exhausted after completing the GMAT. While travel is a great way to relieve stress and redirect your mental focus, you may not want to celebrate with a big trip that requires logistics and planning. Instead, take a day trip to a park, a lake, even a historical monument. Distancing yourself, both mentally and physically, from your studying environment is one of the best ways to acknowledge the end of test preparation. Get moving to get your mind right. Sign up for one of your favorite workout classes, or plan on a hike or bike ride with friends. You'll have been sitting in an exam room for hours, so go get your blood flowing to reenergize. Maybe you even take a class that you rarely get to attend, because of time or price—now is the time to do it! [*] Find your favorite (fill in the blank). Take yourself out for an afternoon with your favorite things. Go delight in your favorite ice cream, IPA, or vintage wine. Visit your favorite coffee shop, find the newest issue of your favorite magazine, buy a big bouquet of your favorite flowers. Whatever it is that's at the top of your list, make your post-test treat all about enjoying your favorites. For more tips on taming the GMAT and GRE, get our free ebook, Avoiding the GMAT/GRE Blues. The first-ever hackathon to find innovative solutions to fight Lyme Disease—a potentially devastating tick-borne illness that infects some 329,000 people per year—took place at the Berkeley-Haas Innovation Lab and Skydeck over the weekend of April 16 and 17. The winners were two Berkeley-Haas MBA students, Faith Kirkpatrick and Shannon Herline, both EWMBA 18. 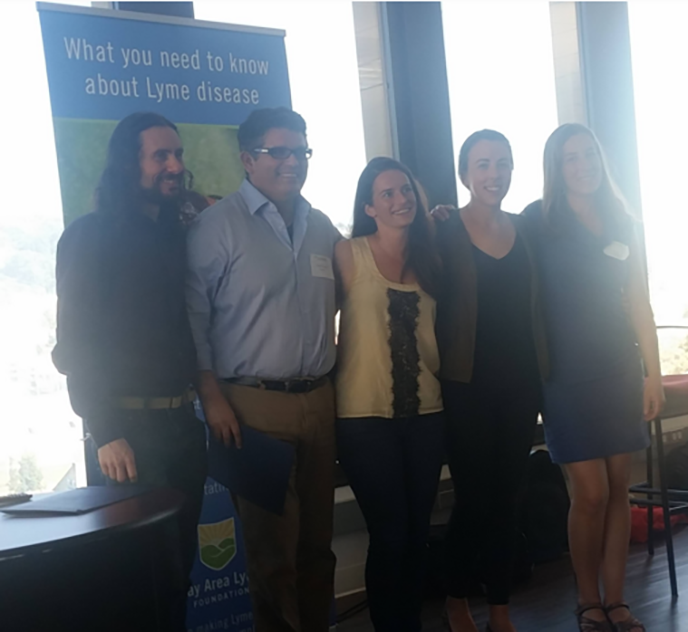 In June, they’ll move on to the three-day Lyme Innovation hackathon at the Microsoft Nerd Center in Cambridge, MA. The top five teams will take home seed funding, and will be invited to present their final projects at the Dean Center for Tick Borne Illness Research Consortium in September. At this final event, three top teams will be awarded grant funding to make their solutions a reality. The team: Our group consisted of two MBA students with direct experience with Lyme-disease patients and an understanding of the challenges of the disease. We also had Jose Luis Pacheco, a UC Berkeley alum and engineer with a good understanding of EHS (environment, health & safety) systems, and Michael Cohn, a UX designer with a PhD in behavioral psychology. The field: The first round of hackathons took place in Berkeley and at MIT. In Berkeley, there were about 15 participants making up four groups. The problem: Lyme Disease is very idiosyncratic: treatment is complex, and doctor-patient interactions are intermittent, making it difficult to identify which treatments are working and how. Our solution: We proposed a two-way mobile app for patients to track their symptoms daily and a website platform for doctors to track the symptoms alongside treatment programs. The app is clean and even fun to use. The website creates superior report visuals and is integrated with the doctor’s electronic health records system so doctors can see, in real time, what treatments their patients are undergoing and how they are reacting. Our goal is to overlay other data, such as your heart rate and sleep patterns from a smartwatch, onto this data as well. The clincher: We had a strong team, with a clear vision for a minimum viable product. We used a SWOT analysis (strengths, weaknesses, opportunities & threats) of our plan to really analyze the quality of our idea. We were “students always” and had “confidence without attitude” by listening to the mentors and the engineers to make sure our idea was well-informed and feasible. We used our presentation skills learned in one of our core classes to effectively communicate our vision during our 3 minute pitch—when the time pressure was on we presented a compelling story about our idea. Interested in innovation and entrepreneurship? 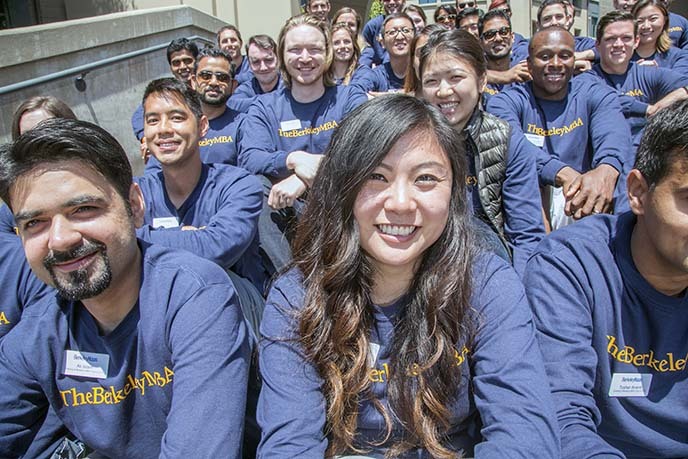 The Berkeley-Haas Entrepreneurship Program offers resources and support. “To make sure that I give my family the ‘return on investment’ that they’re putting into this, I need to put my best foot forward in the classroom setting. As a consultant in the software industry, Corey came to Haas after working for years with customers in technology and software support. “My passion area has always been in education and technology, and I’ve always tried to find a way to mix the two,” he says with a smile. 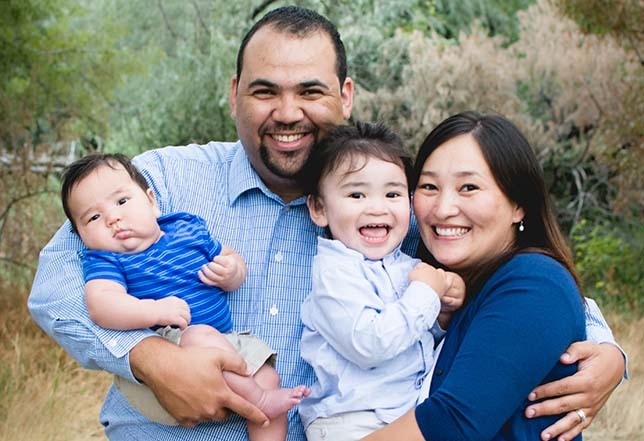 Learning in a supportive community has made balancing MBA and family possible for Corey. Professors know that all EWMBA students are juggling many responsibilities and priorities. Classmates are understanding and quick to help. The coursework itself has expanded and deepened Corey’s understanding of business, helping him to see the bigger picture and think more holistically. Other students in the program have also contributed, sharing their experiences and perspectives from many different backgrounds and professional fields. “My classmates are as varied and diverse as one would imagine... It makes the classroom discussions a lot more interesting. 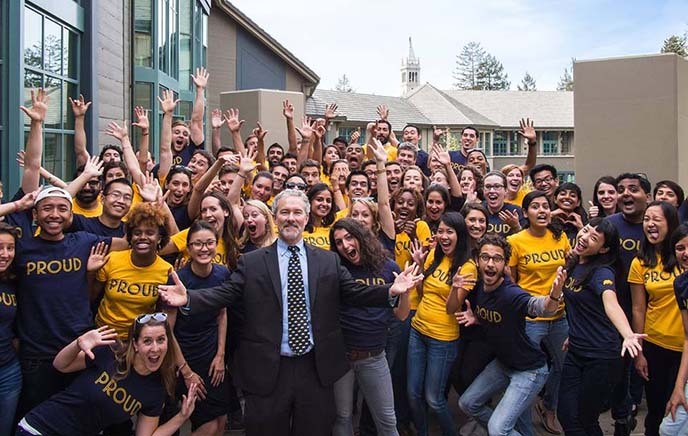 When he talks with other Haas students, he notices that classmates and alumni always coming back to a core idea: how they’re striving to live and exemplify the four defining principles of the Haas School –Question the Status Quo; Confidence Without Attitude; Students Always; and Beyond Yourself. “The four defining principles of Haas really identified with my personal values — who I am and how I show up in the world,” says Corey. 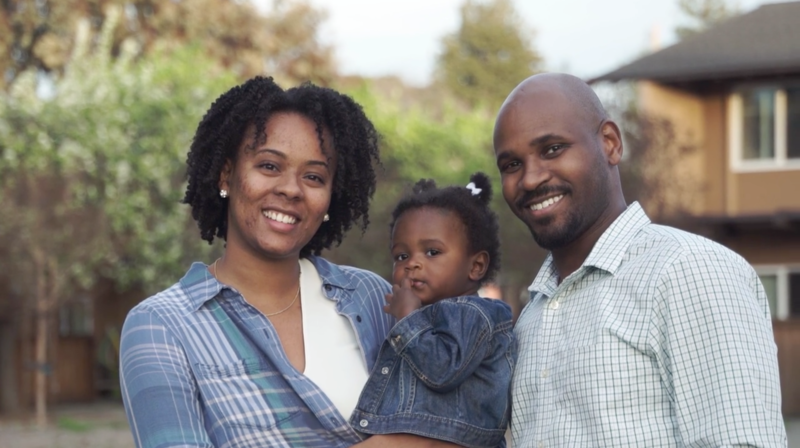 Completing his second year in the program, Corey is confident in his decisions and commitments—both in growing his family and in earning his MBA. 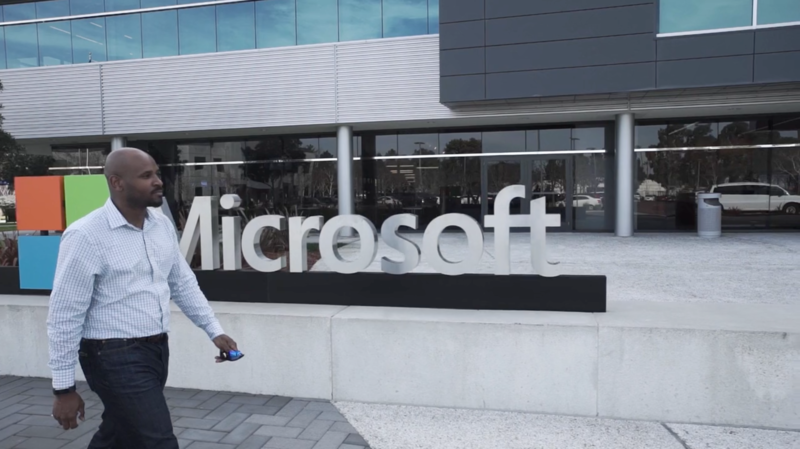 “I walked into business school thinking that there would be a lot more work and a lot more competition,” says Corey. He has been happily surprised by the encouragement and support of the Haas MBA community. 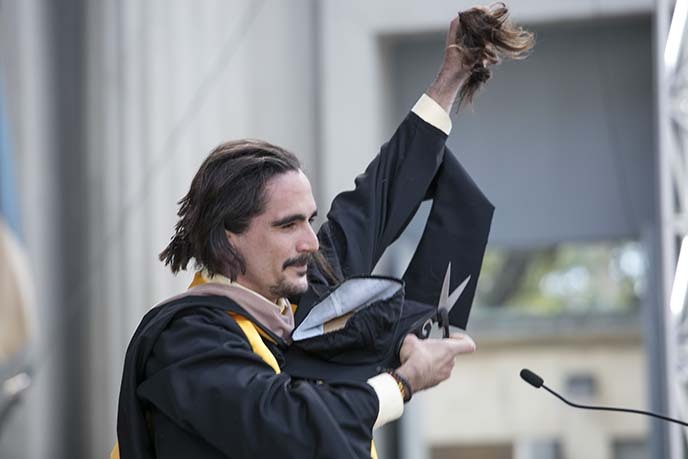 When Evening & Weekend Berkeley MBA 2016 student speaker Luis Bellon wrapped up his commencement speech at the Greek Theater last week, he produced a pair of scissors from under his gown. "Join me in throwing away our old boxes, the ones that are now too small...and here's shedding boxes!" And with a flourish, snipped off his trademark long ponytail. It caught the crowd's attention—they roared with laughter and applause—but it was not a mere attention-getting stunt. 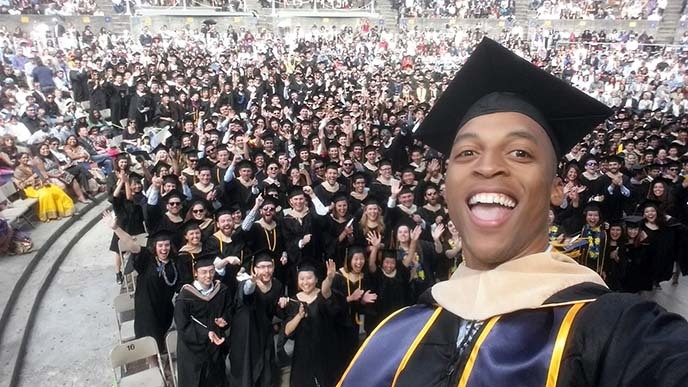 Bellon's heartfelt speech captured what many of his classmates have expressed: three years in the Berkeley-Haas Evening & Weekend MBA program was transformative. "We came to Haas to dream," Bellon said, quoting classmate Iris Korovesi. "What has united us all from the first was that original nagging feeling; that knowledge clawing at us from inside: that there was more to life, and to us, than what we were before Haas." A week earlier, students in the EWMBA Class of 2016 gathered for a graduation celebration. "The energy throughout the night was amazing," said Assistant Dean Courtney Chandler, who directs the program. "The buzz in the room showed clearly that they had bonded throughout their time here." Sara Narayan won the Outstanding Academic Achievement award, having earned a GPA of 3.956. We lead by championing bold ideas, taking intelligent risks and accepting sensible failures. This means speaking our minds even when it challenges convention. As leaders and creative thinkers, we thrive at the world’s epicenter of innovation. We make decisions based on evidence and analysis, giving us the confidence to act without arrogance. We lead through trust and collaboration. We are a community designed for curiosity and lifelong pursuit of personal and intellectual growth. We know that there is always more to learn. We strive to engage with others in continuous pursuit of knowledge and growth. We shape our world by leading ethically and responsibly. As stewards of our enterprises, we take the longer view in our decisions and actions. This often means putting larger interests above our own. If you’ve been considering whether now is the right time for an MBA, you’ve probably thought about timing, family, career path, your partner—the list goes on. Because there’s never just one thing happening in life, and the question, “Am I ready for an MBA?” can produce varied, if not conflicting, answers. Many Berkeley MBA students have asked this question and considered the same factors. Read how students from each of the three Berkeley-Haas programs (Full-time MBA, Evening & Weekend MBA, MBA for Executives) knew they were ready. advancing his company. As an entrepreneur and CEO, he knew that an MBA would be good not only for himself, but also for his business. “I have been running my company for eight years. I didn’t have a formal business education, and I knew that scaling would be challenging with our B2B service. I knew an MBA would help me be better prepared to make the best possible decisions for my company and further develop my entrepreneurial career,” he recalls. Plus, Alejandro knew the EMBA program’s class schedule would allow him the freedom to keep running his company while getting his degree. As it turns out, business school grew not only his skills, but also his network. 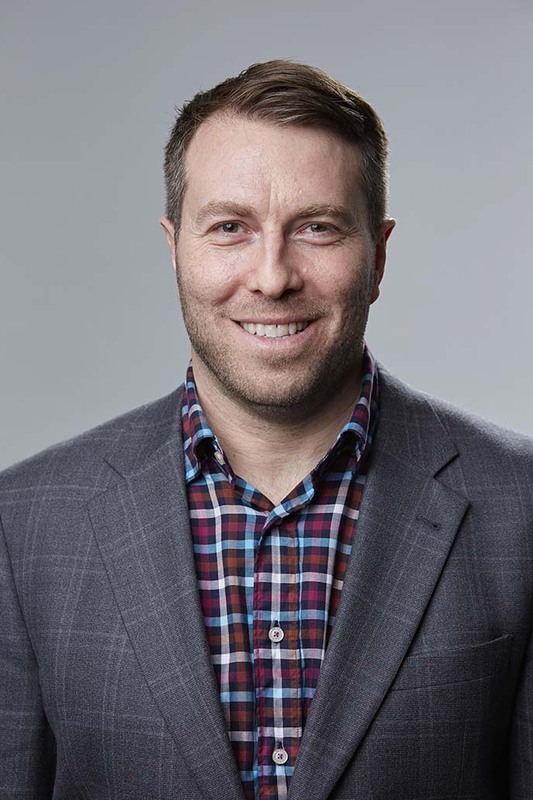 Similarly, full-time student George James knew it was time to get an MBA when he felt he’d plateaued in his role at an oil and gas company and wanted to explore other industries. “The company was doing well and I had been successful in accomplishing several initiatives, like creating an inventory control system, developing and implementing an export strategy, and revamping overall operations. But I had peaked and wasn’t feeling fulfilled by the industry. I knew I wanted to work on bigger projects [in tech] that touched the lives of millions,” he says. George also has a wife and three children, so his family situation contributed to his decision to pursue an MBA. “When I started the program we had an 18-month-old and a new born who were young enough to not miss me if I was busy studying a lot,” he says. 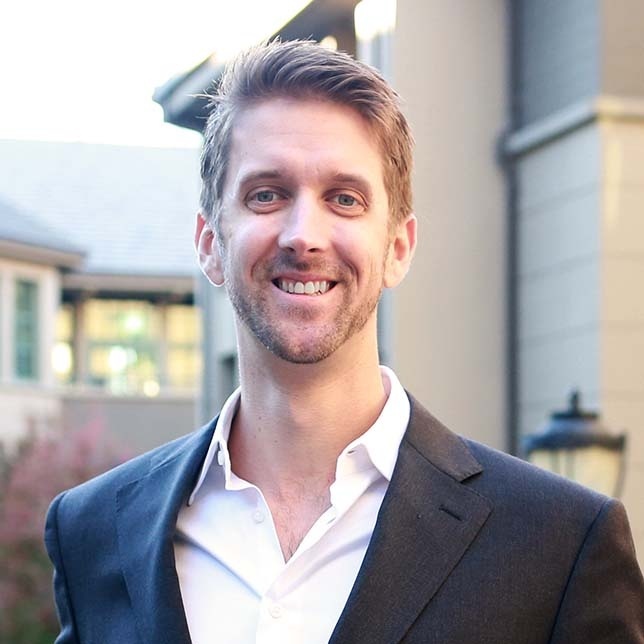 Robert Kazmarek of the Evening & Weekend MBA Program, who relocated from an abroad position in Japan, decided it was time for an MBA after getting inspired by the UC Berkeley executive education classes he took. Still, not everyone knows when they’re ready for an MBA, like evening and weekend MBA student Anca Popovici, senior manager of global demand generation for RES Software. “For me, being ready for the next big challenge is usually mental; it's the difference between being prepared and being ready,” says Anca. “I was waiting for the 'right' time and was lucky to have someone in my life who helped me see the opportunity ahead,” she says. “In this case, it was my manager. He recognized that the timing was in fact right for the next big challenge. If you've decided you want to continue working while you earn your MBA, then you are likely looking at evening MBA, weekend MBA, and executive MBA programs. Here at Berkeley, you'd be considering our Evening & Weekend Berkeley MBA Program and our MBA for Executives Program. How are they alike? All three confer a degree respected worldwide. 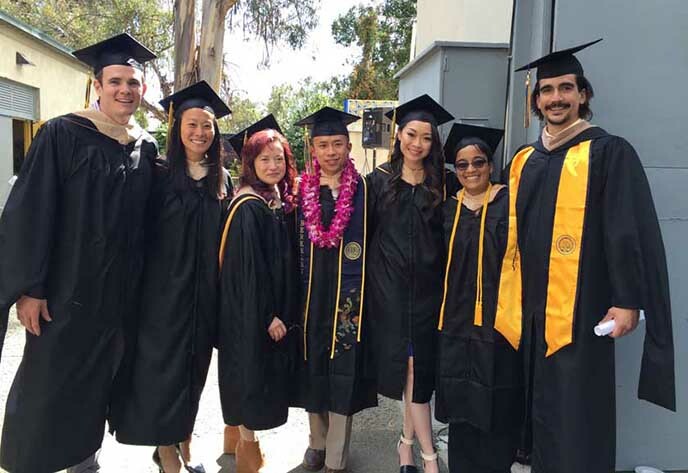 And they share an emphasis on leadership, innovation, and on-the-ground learning, a world-renowned faculty, and our Berkeley-Haas culture and Defining Principles of Question the Status Quo, Confidence Without Attitude, Students Always, and Beyond Yourself. Haas alum John Hanke first put the earth in your pocket, then released pocket monsters on planet Earth. Hanke, MBA 96, is CEO of Niantic Labs, the innovator behind Pokémon Go. It is not the first time Hanke has taken breakthrough technology mainstream; he co-founded Keyhole, which developed the technology that became Google Earth, Maps, and Street View. After Google acquired Keyhole, Hanke led the “geo division” until 2010, when he launched Niantic Labs inside Google to focus on next-gen games. He spun Niantic out as a separate company in late 2015. As a Berkeley MBA, Hanke redefines the way we do business by living the Berkeley-Haas Defining Principles. This includes questioning the status quo on a global scale and going beyond himself to serve as a Berkeley-Haas Executive Fellow. In this role, he shares wisdom with students from time to time: he recently surprised students in an executive education course who were analyzing a new case study on Niantic's spin-off from Google. Hanke credits Berkeley-Haas for helping him cultivate not only the skills, but also the mindset to become a professional entrepreneur. For him, the success of Pokémon go is a realization of the vision he came to Haas to achieve. Berkeley MBA students now have another opportunity to experience business culture abroad, while polishing their consulting and design thinking skills at the same time. Lecturer Rajiv Ball, a former McKinsey & Company partner and current partner with the THNK School of Creative Leadership in Amsterdam, teaches the course, which incorporates THNK curriculum and combines elements from both the Berkeley-Haas Seminars in International Business (SIB) and IBD. Like SIB, the course is one week long, and like IBD, it focuses on a single “real world” problem for an international organization. 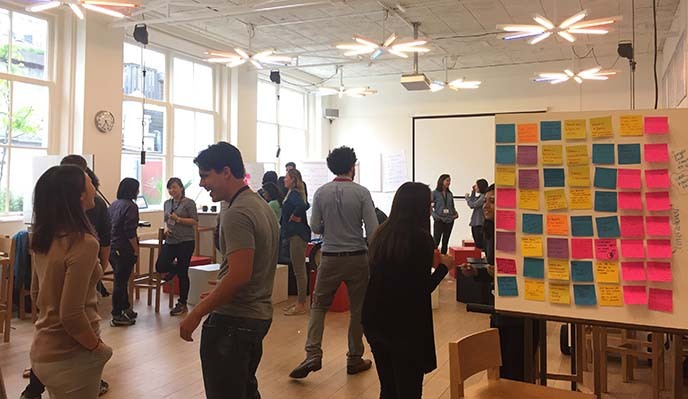 Students learn a structured approach to innovation that combines design thinking, innovation strategy, leadership, and entrepreneurship, generate new insights for a client, and, in this case, learn about business in the Netherlands. 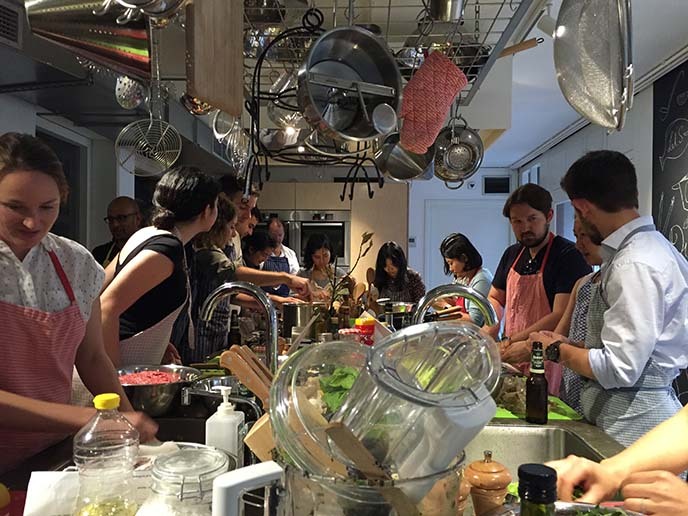 During their week abroad students partnered with Jumbo, a major Dutch supermarket chain, to help reduce food waste in its customers’ homes. Before arriving in the Netherlands, the students researched food waste, as well as trends in the Dutch grocery industry and consumer habits. They then spent five days at THNK where they formed teams to come up with innovative solutions to the problem and concluded the week by pitching their ideas to top-level JUMBO executives. It's the evening before you take the GMAT, and you've likely spent the last few months preparing for the exam. Whether you signed up for a GMAT course, studied with a friend, or guided yourself through exercises and workbooks, you may still feel nervous—and that's completely normal. In order to wake up on exam day feeling truly rested and ready, taking certain steps to prepare the night before is essential. Here are a few ways you can prepare–and that doesn't mean logging more study hours–for GMAT success the following day. Studies on memory show that last-minute cramming doesn't do us any good. Rather than trying to teach yourself a concept or memorize information the night before the exam, put away your test materials. Trust that the hours of preparation you've put in will pay off, and don't stress yourself out with last-minute cramming that won't even help you perform better. 2. Have all your to-go gear ready. One of the best ways to ensure you wake up on test day feeling calm and prepared is to have all your essential items in one place, ready to go. Put your wallet, keys, phone, whatever you need next to the door or in a spot that you'll remember them. The last thing you need to do before you go take the GMAT is to frantically search for your car keys. 3. Eat dinner before 9 pm. It may sound silly, but eating right before we go to bed often affects our sleep quality. There's been a good deal of research on the connection between food and sleep quality, and many studies show that eating something sugary right before bed, or even eating something you don't normally eat late at night, can lead to nightmares. So eat a healthy dinner, and don't eat right before you go to sleep. 4. Have a plan for the morning. Routines not only help us commit to things like exercise or waking up at a decent hour, they also help us feel secure. Put your mind at ease the night before the GMAT by writing down what you'll do the next morning. 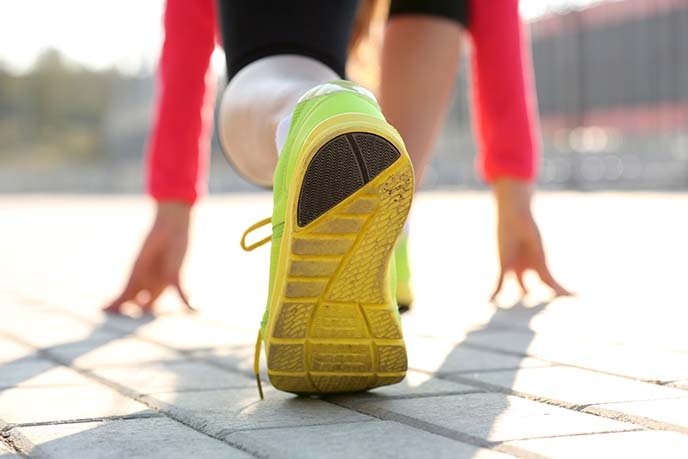 Whether you'll go for a walk to your favorite coffee shop, head to the gym, or read the newspaper, having a plan for the day of the GMAT will probably help you sleep better. 5. Know the test-day details. You certainly shouldn't go to sleep the night before the exam without knowing the details of time and location for your test. Double check when and where you need to be, and if you're someone who gets anxiety about these items, write them down. Give your brain and body every advantage to relax and get a good night sleep the evening before the GMAT—don't go to bed with uncertainty around important day-of details. For professional tips from Berkeley MBA programs, download our free Ebook, Avoiding the GMAT Blues for tips on how to plan for success on exam day. There are so many benefits to a part-time MBA program: You can pursue a degree alongside your career, invest in your present and your future, and learn about fields you've always been interested in. At Berkeley-Haas, students enjoy all of these perks—and a few more. In addition to a campus location with proximity to careers in just about every field you can think of, students also benefit from expansive diversity and talent among their classmates. No matter your professional background or career goals, you’ll find a place to learn and grow at Berkeley-Haas. Evening and weekend MBA students enrich the Berkeley-Haas experience by bringing different experiences and interests to the classroom, with student who are veterans, technology product managers, financial consultants, healthcare professionals, and more. The Evening & Weekend Berkeley MBA Program is home to students who come from everywhere—and are going all kinds of places. 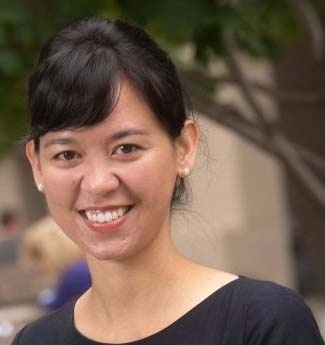 When Alicea Wu decided she wanted to transition from her role as a physician to a more business-centered role in drug safety and public health, she chose the part-time MBA program at Berkeley-Haas to gain the skills and knowledge she needed to make her career move successful. “My MBA studies have helped me understand organizations better on a higher level,” she says. “With the foundations of finance, operations, and statistics under my belt, I see my job in a different light. It is not just a list of to-do's—I can see how each of my to-do's fits into the bigger picture and how it helps the organization on a high level. Because Berkeley-Haas EWMBA students come from all over, they represent the very best talent from many different fields. The diverse student body at Haas is representative of how eclectic and fluid the business world itself is. You meet students from organizations completely different than your own, as well as students who share a similar professional path, bonding with people you have something in common with and building relationships with peers you’d have never met otherwise. Alex Polyansky wanted to apply his engineering background to his entrepreneurial dreams, enrolling in the EWMBA after working as a patent examiner at the US Patent & Trademark Office. He was confident that Haas would introduce him to new opportunities—and new relationships. Sure enough, a classmate soon connected Alex with a patent attorney who helped Alex co-found Nventi, a startup that converts patent data. “Four hours [into our meeting], we had the idea that became Nventi,” he recalls. Serving as co-founder and COO, Alex is also able to apply much of what he learned at Haas directly to his budding business: “There is no better way to learn and benefit from your studies,” says Alex. And you learn new ways of thinking and working through the varying perspectives of your classmates. If you’re considering completely changing your career course, or perhaps just slightly pivoting to a different position, you have the valuable experience of learning from other students who’ve done what you haven’t (yet)—and they seek out your unique perspective as well. From case studies and classroom discussion, to consulting opportunities, you are able to contribute more through listening and learning from your peers. 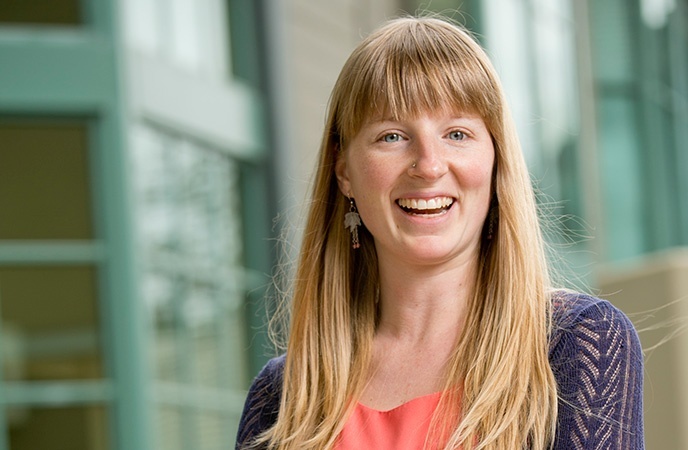 Desirae Early found great support from her experienced classmates when she decided to use her MBA to pursue a career in management consulting. “Classmates and recent grads who work in the (consulting) field were so generous with their insights and advice,” she says. And she has strengthened her new found role at McKinsey by applying problem-solving approaches and discussions from class. “Many of my Berkeley MBA classes have been applicable in my role at McKinsey,” she says. Perhaps you’ll go in an unexpected direction—or exactly where you always saw yourself. With classmates and professors who represent a breadth of fields, you have access to networks that can take you exactly where you always planned, or open doors to completely new possibilities. 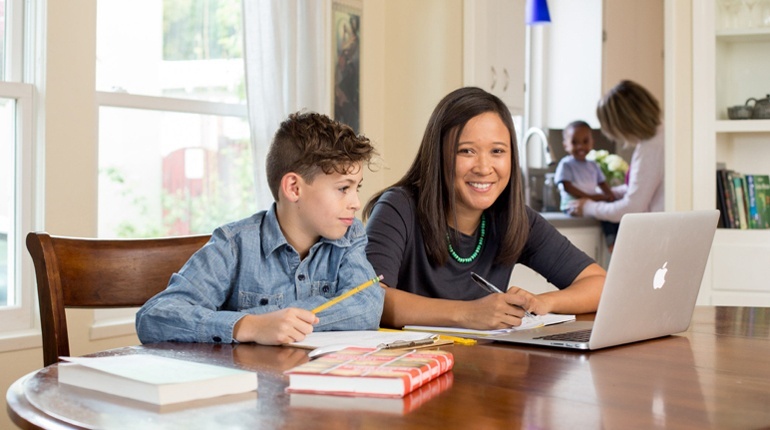 Starting the Berkeley Evening & Weekend MBA, Celia Carter was already a working parent, enrolling in a business program that would fit with her existing family routines and work schedule. Then in her second semester, Celia and her wife Sierra were selected to adopt a new baby – and he was on his way early! 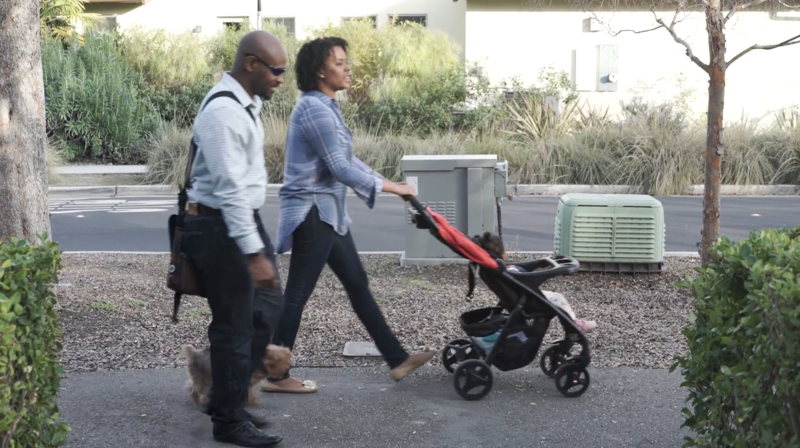 Their growing family embraced the opportunity, and despite time and location challenges, Celia worked with professors and peers at Haas to manage her workload through the end of the semester. 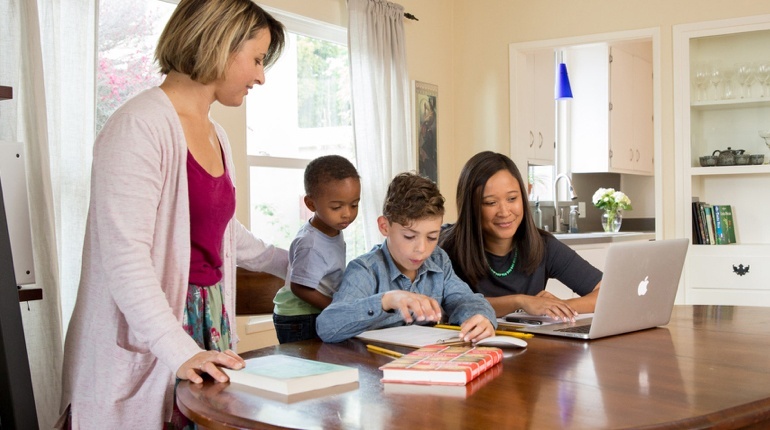 “Everybody understands: we’re all in the position of juggling work-life balance,” Celia says. “There’s a deep understanding of pitching in, and I think people are especially sensitive to those who have kids.” Whether its an unexpected event or a simple schedule change, when Celia needs to prioritize her family, she is grateful to find professors and classmates willing to shift and adapt to support each other. Getting started at Haas, Celia chose weekend courses, so she could be at home with her family on weeknights. “Evenings are the time when we’re together and do bedtime routines. That was something that I carved out and said, ‘Okay, I need to be available,’” Celia says. Still, it took some adjusting to let go of favorite weekend routines, like her son’s soccer games and her beloved Cal football. Her family settled into new rhythms, and Celia continued to craft each semester’s schedule to be best fit their evolving schedules and needs. “I always tell people that the biggest thing is to find a schedule that works for you,” Celia says. Celia’s commitments also extend to the campus community. “As a woman of color, it was important to me that the school be focused on and improving diversity,” Celia says. This was a key element in her selecting an MBA program. From her experience as an undergraduate at UC Berkeley, she was encouraged by the existing commitment to diversity and inclusion on campus. In addition, Celia was further assured when the business school newly appointed a Director of Diversity to implement programs and initiatives to expand diversity, equity, and inclusion at Berkeley-Haas. The scope of the position includes everything from considering the demographics of the students and faculty to reviewing the textbooks and case studies that they use. Once enrolled, Celia was quickly involved on campus. A recipient of the Dean’s Fellowship, she was Vice President of Diversity for the Evening & Weekend MBA Association in her first year. In that role, she led several initiatives, including a weekend-long diversity workshop that explored issues with current students and alumni. Today, she continues advocating for increased diversity at Haas. 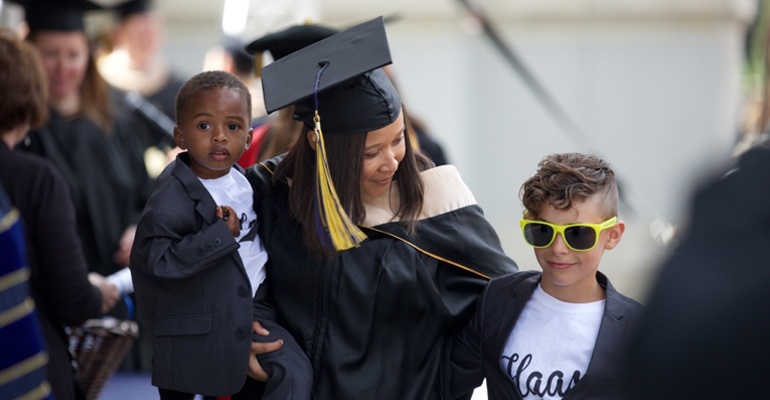 In Haas tradition, Celia walked at graduation with her two young children at her side in May 2016. Her extended family, who are especially proud of her advanced degree, were in the stadium cheering for her. For Celia, completing her second degree at UC Berkeley leaves her feeling fulfilled and nostalgic. She is already thinking about how to continue her involvement on campus. If you look around at the mix of students, speakers, faculty, and events on campus, you'll quickly see that every program is devoted to fostering MBA diversity at Berkeley-Haas. Whether that means bringing students together from different professional and personal backgrounds, or inviting speakers who are experts in a variety of fields, Berkeley-Haas believes in the value of diverse minds and skills—and the endless possibilities they create when brought together. Here, diversity is more than a buzzword—"it is truly built into the school's DNA" says full-time MBA student Raphael Chines. Students are an integral and active part of MBA diversity. From the student-run Gender Equity Initiative, to the Freshmen to Alumni outreach program, to the LGBT club, Q@Haas, there is a wealth of resources. One of the most notable campus events is the annual Diversity Symposium. Prospective students and current students are hosted on campus for a day of panels, discussions, and workshops that honor the school's remarkable student and alumni diversity. Raphael recalls attending the Diversity Symposium, and how it influenced his own perception of diversity at Haas and beyond. "We heard what diversity means to members of the administration, faculty, and student body, and why it is critical to the success of any organization, and a student panel of LGBT students and allies revealed how Haas' welcoming environment creates a space for students to safely take risks and learn from one another. I walked away from the day with not only an appreciation for how Haas treats diversity, but also a deeper understanding of the importance of diversity generally." Sera Lee, a student in the Evening & Weekend Berkeley MBA Program, found the Diversity Symposium to deliver an empowering message: "The Diversity Symposium made me want to attend Haas, a school that truly embodies its defining principles. Dean Rich Lyon stressed that one of Haas' main goals is…to challenge students to become drivers of change. It's about moving away from thinking, 'they do that' to 'I can do that.'" 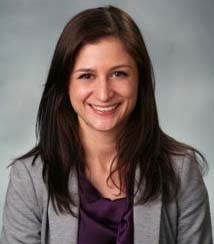 Candice Knoll of the part-time evening and weekend MBA program felt inspired by and connected to Symposium speakers. "I remember hearing a Latina woman discuss the small number of Latina women in upper management, and even in business school, and I was motivated and inspired by that. Sometime during her speech, my mindset shifted from 'I don't belong here' to 'I don't care how or when, but I am going here.'" 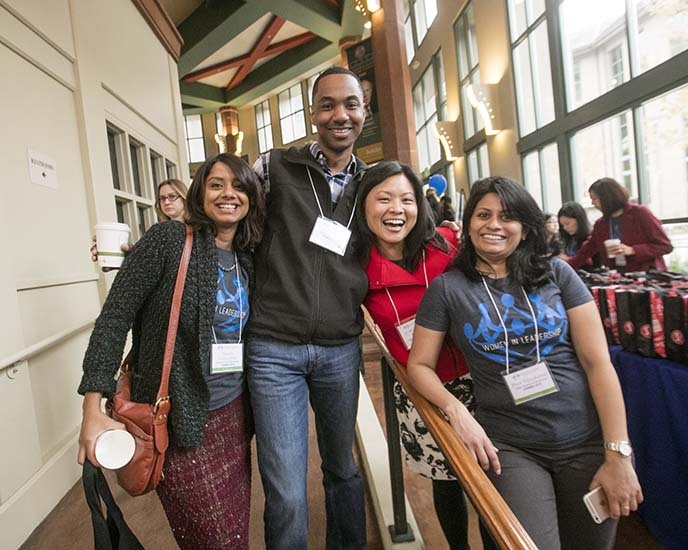 While the Diversity Symposium is a pivotal event, fostering MBA diversity at Berkeley-Haas happens in many other ways, through its inclusive culture, eclectic class offerings, and its well-rounded student body. EWMBA student Bill Collins recalls attending the school's Women in Leadership Conference. "I was impressed by the richness of content, the variety of perspectives offered, the quality of speakers, and most of all the passion from the attendees," he says. 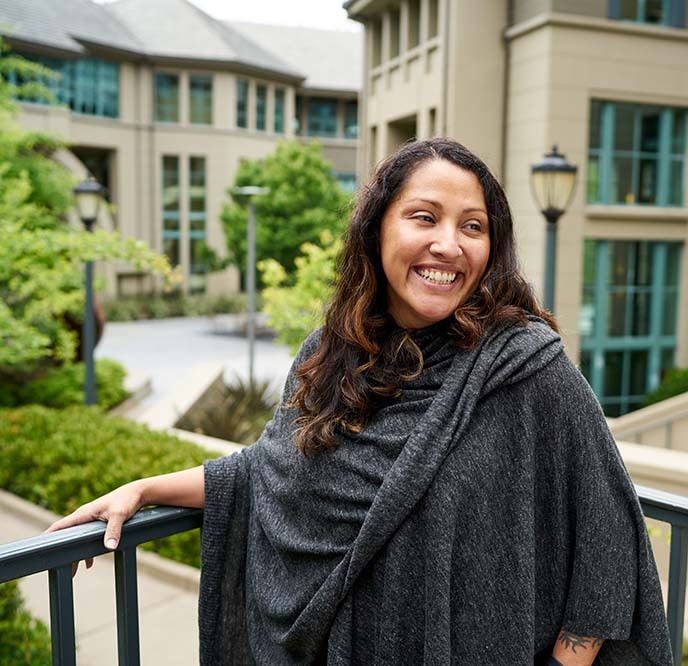 Says Berkeley executive MBA student Cristy Johnston Limón, "Diversity shows up in the EMBA program largely through our cohort. Because we hail from such different socio-economic and cultural backgrounds and nationalities, we each bring such a broad and diverse perspective in the classroom." "I never feel like an outsider," says evening and weekend MBA student Anthony Barrs. "Maybe it’s the 'Confidence Without Attitude' and 'Students Always' Defining Principles, but Haas feels open, humble, and approachable…People genuinely want to share and connect with others." 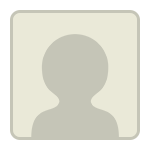 Adds Anthony, "This allows me to experience lots of diverse people and perspectives…and vice versa. And this is true up-and-down the ladder: from Dean Lyons, to the faculty, to the program office, to the students." You can learn more about Berkeley MBA diversity, and even be part of the conversation by joining us at the Diversity Symposium on October 15. 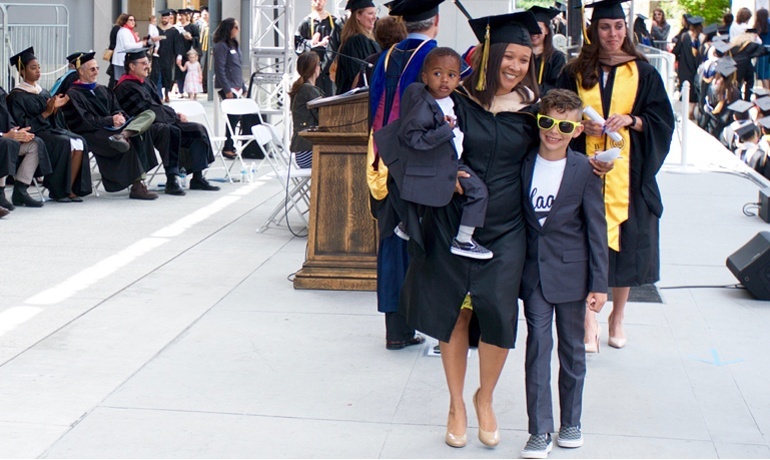 If you read our previous blog on how Berkeley-Haas students knew they were ready for an MBA, you may have found others who share similar circumstances or considerations to your own. And perhaps you have more in common beyond the pursuit of an MBA. In addition to their MBA programs, Haas students balance eventful personal lives outside the classroom. 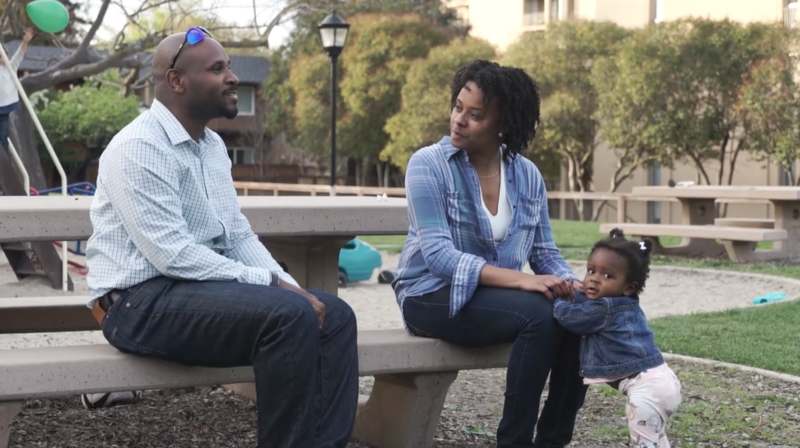 In this two-part series, learn these same students knew they were ready to start another exciting chapter, be it an upcoming marriage, a baby on the way, a growing family, or a changing career. My wife, Zula, who is Mongolian, and I had a whirlwind courtship. I met her in May during a church camping trip in Southern Utah. We are both members of the Church of Jesus Christ of Latter Day Saints. We started dating in July 2010 and got married the following year on January 8th at the Salt Lake City Temple. I think the biggest thing for us was the feeling that we found someone we wanted to spend the rest of eternity with. We are also very complimentary. Opposites really do attract—I am a planner, my wife is not. I am not especially sensitive or courteous, but my wife has these characteristics in abundance. I think I'm funny and my wife does not. On a more serious note, we also shared very similar life goals. Getting married meant we were combining our friends an family to create a future together, and that gave me a profound sense of purpose and joy. I remember being in Ecuador in 2010, snorkeling in this incredibly beautiful place and being completely terrified of the water. I didn’t know how to swim, and the life vest did little to calm my fears. I couldn’t understand how my fear could take away from that beautiful moment, so my new year’s resolution was to learn to swim. I do best when I have a goal, so I signed up for a triathlon. 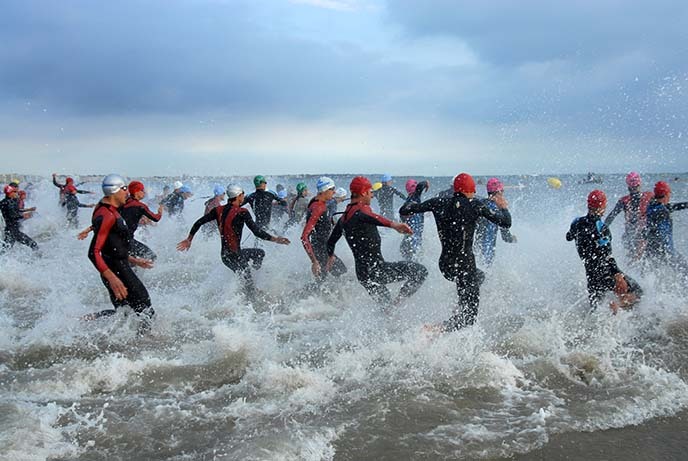 In 2011, I did my first triathlon, survived the swim and got hooked. In 2013, one of my dreams came true. A year of intense training and tremendous support from loved ones and even strangers across the globe helped me finish 10th in my age group in my first Ironman race: 2.4 miles swimming, 112 miles biking and 26.2 miles running. The idea for fundraising actually came from a simple class assignment. In our “Leadership Communication” we were asked to present something we are passionate about. I realized that my personal passion was to help people like my mom, who faces bipolar disorder and the stigma surrounding mental illness. I started questioning why this has been such a big secret in our family for so long. After talking to my family, I realized that they were trying to protect us, the children, from being associated with the stigma. What my parents had to endure outweighs any endurance challenge, and they did it quietly behind closed doors. I wanted my mom, along with 60 million people facing bipolar disorder, and their loved ones, to be celebrated for their courage. Is your Next Big Thing an MBA? Find out if you're ready with our free ebook: Five Signs You're Ready for an MBA. MBA entrepreneurship thrives in the Evening & Weekend Berkeley MBA Program, where students find numerous resources to support their interest, from electives and startup competitions to their well-connected and talented peers. The result? Startups that offer solutions to everyting from healthy workplace eating to procuring senior housing for loved ones, making virtual reality affordable, and getting even better photos with your phone. Workplace food has gotten a whole lot healthier and tastier thanks to office vending machines. Yes, you read that right. Byte, a company founded by 2016 grad Megan Mokri (pictured above), offers fresh salads instead of cheez n' crackers, breakfast burritos instead of breakfast pastries, and Blue Bottle Coffee instead of Coca-Cola. 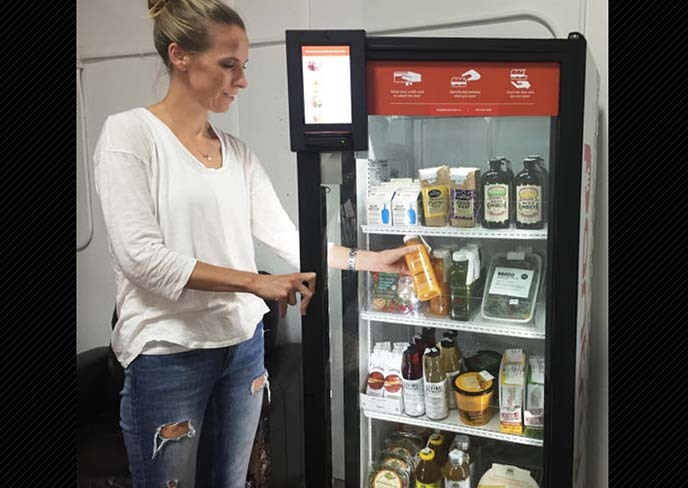 Megan founded Byte to offer a fresh food solution for the 99 percent of offices that have no fresh food on-site. “It’s like having a little Whole Foods in your office,” she says. At one year old, Byte already counted among its customers Chevron, Bain & Company, Autodesk, Virgin America, and Sephora. While pictures and video taken on smartphones are getting better, Yuriy Pryadko thinks they could be better still. With his 2017 classmate Tony Sgroi, Yuriy co-founded Fishball, a startup developing a dual fish-eye lens you can clip onto a cell phone to take immersive 360-degree photos and video. The attachment works with an app that stitches the image so that it can be viewed using a virtual reality headset, and it also allows users to easily upload their content to social media. 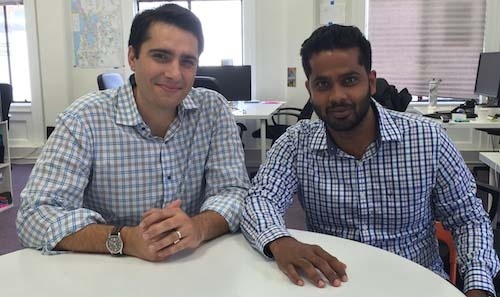 Commuting together from San Francisco turned out to be quite productive for 2016 classmates Arthur Bretschneider and Sushanth Ramakrishna. The two evening and weekend MBA students used that time to put their heads together on the challenge of finding and evaluating senior facilities for aging loved ones. Arthur, whose family had worked in the senior housing business, had seen just how hard this can be. Their solution? Seniorly, a website that streamlines the search for senior communities. Shuo Zhang, EWMBA 2016, and Fangwei Lee, a Carnegie Mellon graduate who formerly led a visual effects team at DreamWorks, wanted to bring virtual reality to the masses by building an inexpensive system—and they’ve managed to do it with two humble materials: cardboard and recycled plastic. The friends teamed up to develop and launch Realiteer, which lets users mount a mobile device into the company's cardboard viewer and use an inexpensive handtracking device made from renewable plastic or cardboard to play downloadable VR games—also offered by Realiteer. Although the games are designed for kids, they are fun for adults too, says Shuo. “When I see smiles from everyone who tries it, I know that we have something truly special." Interested in venturing out on your own? 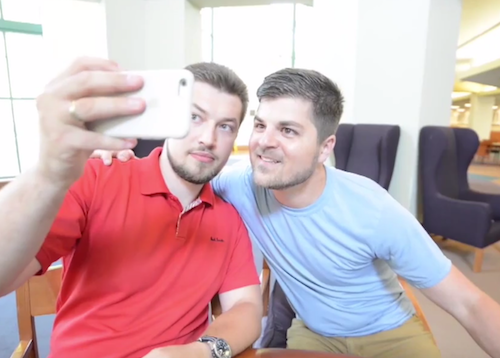 Learn more about the part-time MBA program that helped these entrepreneurs launch. Back in 2012, Matt Sandberg was working in enterprise software sales, making a decent salary. Overall, he was happy in the position and the overall compensation was good, but there was always a nagging concern about how heavily his total compensation was weighted toward a variable commission – it was hard to make life decisions without real financial security. He was also worried that his work experience had pigeon-holed him into a career in sales or sales management, and he began thinking about broadening his skill-set to qualify for career advancement in other areas of the business. What kinds of skills were you looking to build at Haas? I knew I wanted to improve my quantitative skills. Working in sales, you do deal a little bit with numbers, but I didn’t know how to read a balance sheet or income statement. More than that, I looked at the part-time MBA program as an opportunity to get a really broad base of business knowledge. When did the MBA start paying off for you? During my three years at Haas, I received three promotions across two companies and changed companies once. I was able to hold roles in sales management and product marketing, and now I work in business development. From the time I applied to Haas in 2012 to the time I graduated in 2016, my salary increased by 143 percent and my total compensation increased by 79 percent. And, as a direct result of my experience at Haas, I was able to achieve both of my primary career goals: to move into a more cross-functional role within my organization, and to increase the fixed portion of my earnings so I wasn’t so reliant on commissions. What do you particularly love about your current role? I’m responsible for the global-partnering strategy for one of our business units. I love the global nature of the work – the challenges of going to market in North America are very different from those we face in international locations, so trying to define a singular strategy that we can leverage globally, or that’s adaptable to regional differences, is super interesting to me. What specific skills are you using that you learned in your coursework at Haas? I apply Haas coursework all the time at work. A lot of my finance classes have been helpful because I’m often responsible for building financial models to launch a new product or program, and I build profitability assessments, which I couldn’t have done before. Also, learning how to work with slides to make strategic presentations has been extremely useful. All of this was augmented by a fantastic learning experience, amazing professors, and impressive and congenial students. There’s no question that my Berkeley MBA has already resulted in an excellent return. 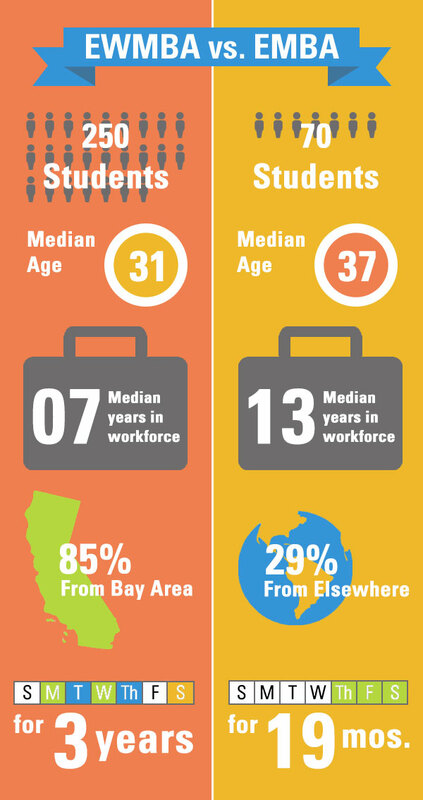 Wondering how a part-time Berkeley MBA can launch your career advancement and provide MBA ROI? Check out our Evening & Weekend Berkeley MBA Program. We've previously chatted with Berkeley MBA students about how they knew they were ready for an MBA. But we were also interested to hear about how they knew they were ready for other major life changes. So, we explored that question with our students as well, first in Part I and now in Part II of our series on how you know you're ready for the next big thing. How did you know you were ready to become a parent? "At first, I believed that I needed to finish school and be in a job for a year before trying to start a family. My husband was fairly strong in his belief that 'there is never a good time' and was encouraging me to consider alternate timelines. I came to realize, however, that school is a perfect time to start a family, particularly at a place like Haas. The program itself is very family-friendly, my fellow students are extremely supportive, and I knew better what I wanted out of my second year classes, which allowed me to focus on those things I really care about, both inside and outside the classroom." How did you know you were ready to take a risk and change your career plans? "Through coaching, traveling, project creation and execution, and personal conversations with family, friends and amazing Haas colleagues, I began piecing together what mattered most to me for my future and self-fulfillment. When I compared that with what I had in front of me at my former position, I realized there were gaps. The more I confronted my feelings about those gaps, the more I realized it was time to make a change. The change itself took a bit of a leap, yet it ultimately comes down to trusting yourself. No matter what happens, this change will be a success. One problem I won't have is regret. I'll pack up my things, tell the people I love that I'll see them in a few months, and I'll move forward open to outcome and ready to create something magical. " How did you take the leap into entrepreneurship? "I have always been passionate about turning ideas into reality, regardless of the field, and I can remember seeking out opportunities to do this even before my undergrad. But for my first real company, focusing on design and visualization solutions for real estate, the process was just natural. I started being a freelance designer, working with a few clients just after getting my degree. I got together with two skilled people and we started growing, getting more and bigger clients, so the natural step was to start a company together. By this time we knew a lot about the industry, as well as our customer’s needs and how to solve them. Of course, this decision process is different for each person, but one thing I feel remains constant is the desire and need to start something you can call your own." While we can't help with all your major life decisions, we can help you decide if now is the time for an MBA, with our free ebook Five Signs You're Ready for an MBA.